This fight represents a winnowing of the “Truth” movement, separating the wheat from the chaff. Should our own leaders be put to the same standard as Herman Cain, Newt Gingrich & Barrack Obama? If your answer is yes, you are the wheat. (Editor’s Note: The ad below is not a parody. It is currently on Jeff Rense’s web site. It won’t be there for long. Rense, 66, is “the Bachelor” offering women 30-years his junior an all-expenses paid visit to his “beautiful mountain home” on his five-acre estate. Candidates should resemble Elizabeth Kucinich and provide several current photos: portrait, casual, and full body. 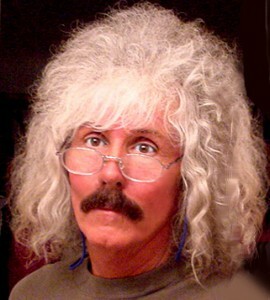 As you may know, Jeff Rense is an Ashland, Oregon entrepreneur who cut his teeth in the pet shop and tanning salon businesses. Less well known is his career as a Lothario, married at least nine times. Yet, although Jeff’s divorces are approaching double digits, his ad below states that he is looking for someone with “traditional values.” Obviously, he is not describing himself. How many women have responded to this ad, only to have their lives shattered when the capricious JR put them out with the trash? His ninth wife was a talented professional who quit her job, sold her house and moved across the country to live the Rense fantasy. They married in Dec. 2010 and seven weeks later, JR kicked her out. Her spirit is broken and she is in desperate straits. How’s that for “kindness and sensitivity”? Read the personal ad below and check off the symptoms. JR has Narcissistic Personality Disorder.